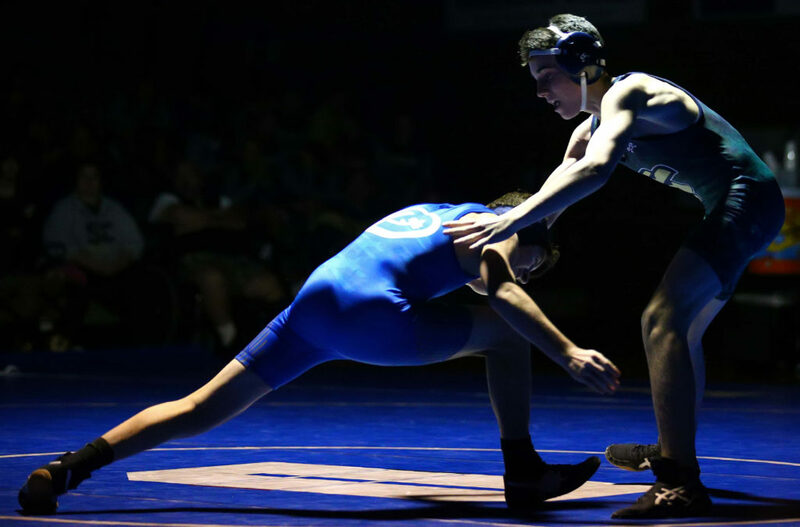 ST. GEORGE – Dixie battled through and overcame two forfeits and four pins to beat Snow Canyon 42-36 in the Flyers’ second win in a row Thursday night in Region 9 wrestling action at DHS. The match came down to the final two bouts, with Dixie pulling out the two decisions and ultimately the team win. Dixie head coach Jarad Carson was excited to get the win in such a tight battle. The wrestling match started at the 195-pound weight class and it started out with Snow Canyon winning six of the first eight bouts by pin or forfeit. 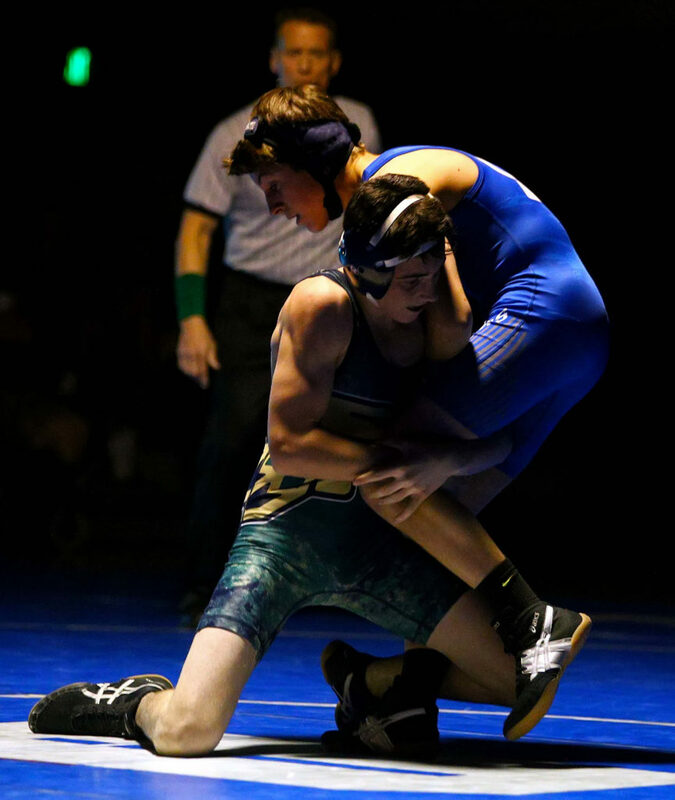 The Warriors led 36-9 going into the 138-pound weight class. Dixie won the next five bouts by four pins and a forfeit to give the Flyers their first lead at 39-36 going into the last bout. 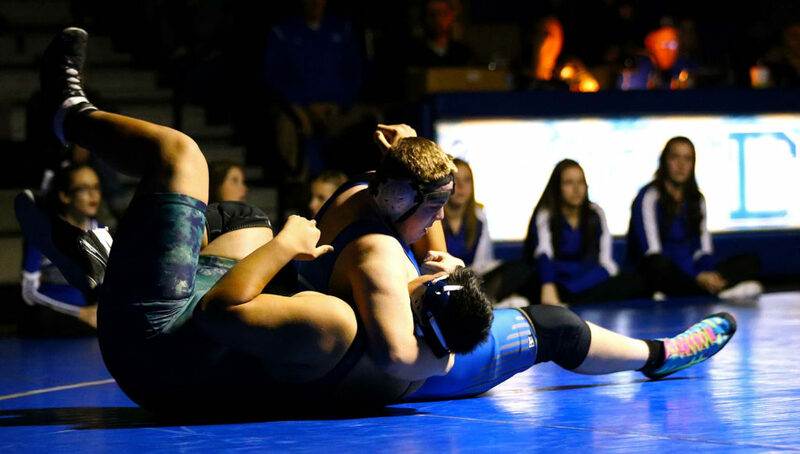 Jason Longmore (170) was the wrestler that put Dixie ahead with a pin. 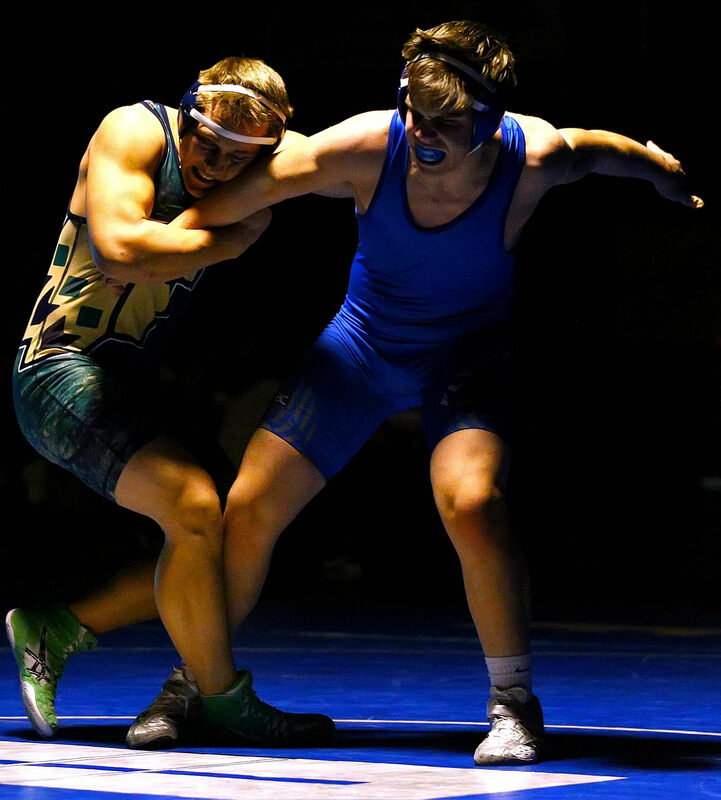 The final bout was between two seniors wrestling in their last dual meet of their high school careers for a win: SC’s Chris Stoddard and Dixie’s Cutler Thomas. 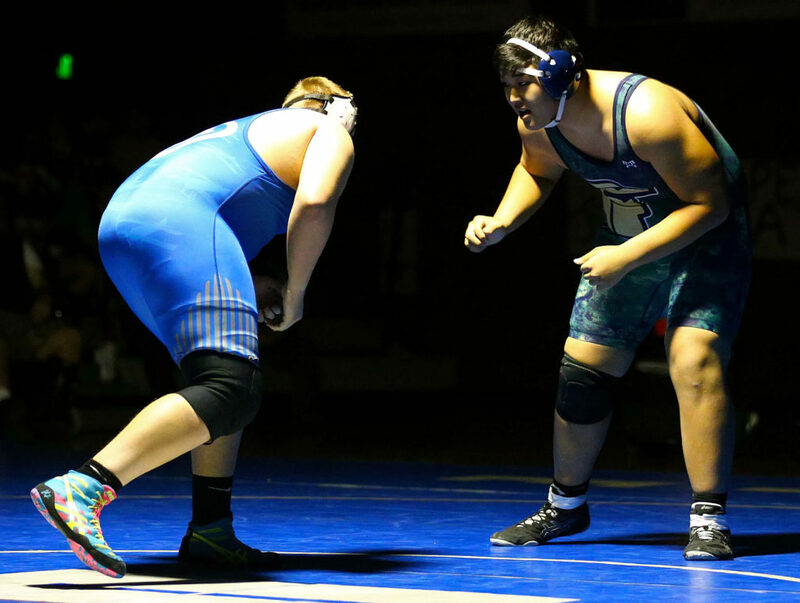 Snow Canyon head coach Nick Lang had nothing bad to say about either wrestler. Thomas ultimately won by a 9-3 decision to seal the Dixie victory. Both teams will have one last tournament in Enterprise Friday and Saturday before the regional/divisional tournament next weekend. The regional/divisional tournament will be with all teams from Region 9 and Region 12. 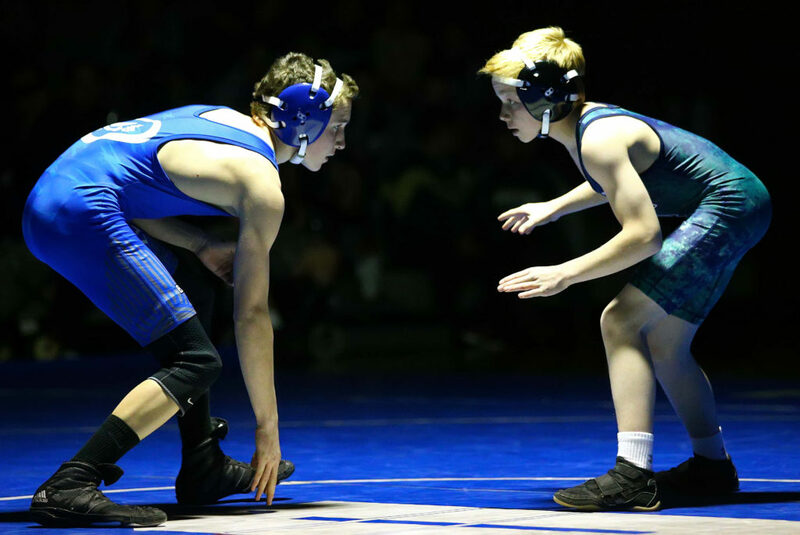 From there, the top eight wrestlers in each weight class will move forward to the state tournament. The Divisional Meet is at Juab High School in Nephi, while state is at Utah Valley University’s UCCU Center. 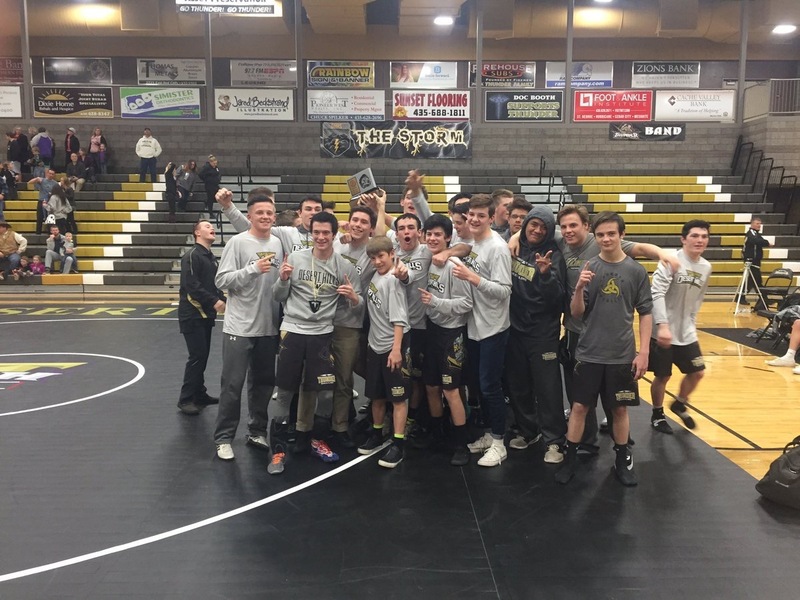 On Wednesday, Desert Hills officially clinched the Region 9 wrestling title with a win at home over Pine View. 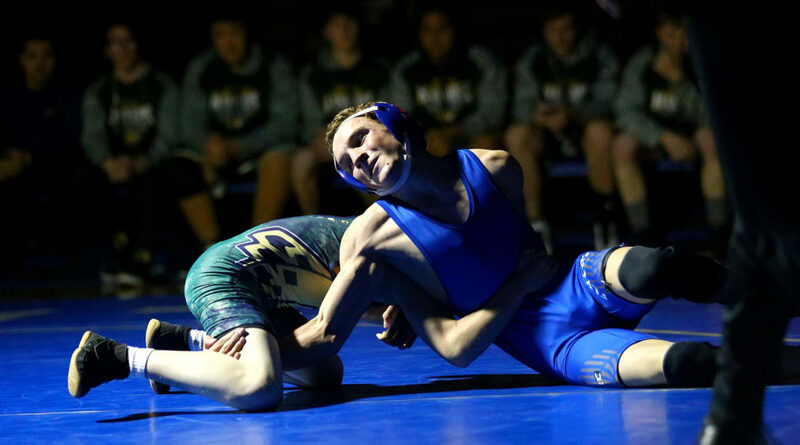 The Thunder rolled through the region schedule unbeaten in 2017 and hope to send several wrestlers deep into the state tournament in Orem, including defending state champion Liam Williams and Brady Jones, who placed second last season.